I have a birthday wish. 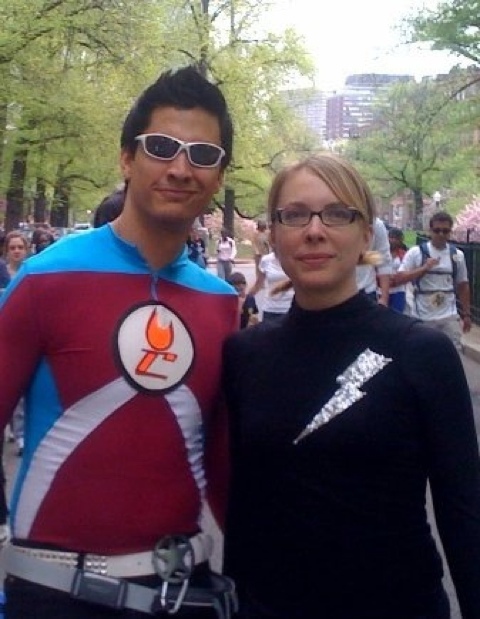 I want to blow the roof off my real-life superhero friend’s fundraiser. You may remember me asking you to donate to the Walk for Hunger1 in years past. I walked as part of Team Civitron, and although I’m not likely to walk any part of it this year2 I still want to raise money for the cause, and support Civitron. Are you in? Would you give up a tenner to help feed hungry families? 1 it’s actually a walk against hunger. 2 seeing as I can’t walk at all right now. This entry was posted on Monday, February 7th, 2011 at 9:02 am and is filed under These Are the People In Your Neighborhood. You can follow any responses to this entry through the RSS 2.0 feed. You can leave a response, or trackback from your own site.